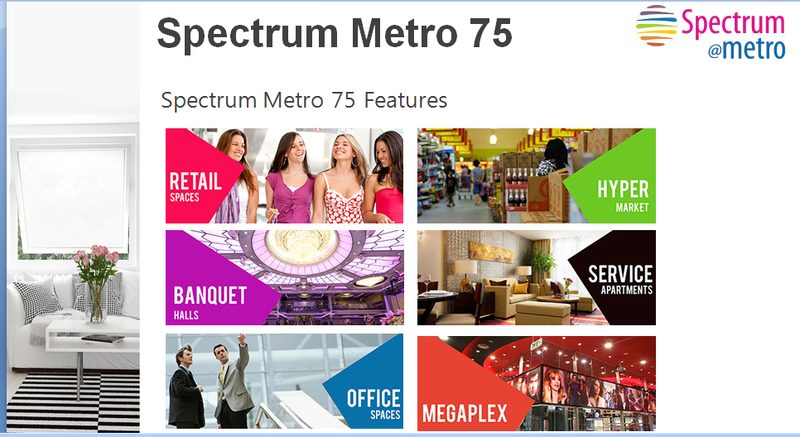 Sprawling over 15 acres landscape, Spectrum Metro Noida Sector 75 is a podium where experience and knowledge converges. Spectrum Metro offers studio apartments, retail shop & office spaces with outstanding amenities, Each spaces has been carefully designed to allow superior ventilation and a spectacular view of the landscape. A relaxed ambience with a luxurious aura prevailing all through, stepping into Spectrum Metro is very majestic through its grand entrance alongside 60m wide and 1km long high street meeting NH-24 and FNG expressway.